One of the best parts about the holidays has got to be the gatherings. Getting together with family and friends is definitely one of my favorite parts at least. Usually these get-togethers involve food... lots and lots of food...hence the reason I will I will I willlll be going back to the gym come January. 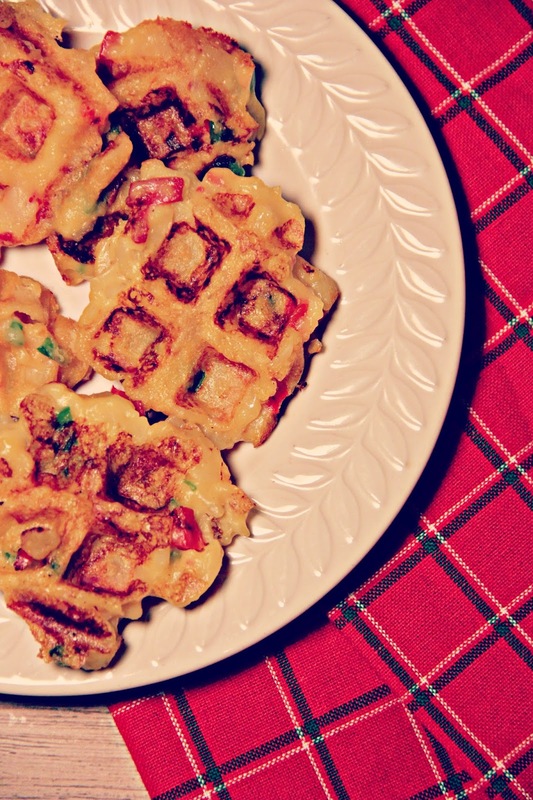 Anywaysss, these Potato Waffles would make a great side dish or appetizer when you're entertaining this holiday season! The results are impressive, but they are oh so easy to make, thanks to Betty Crocker™. Betty Crocker™ Casserole Patatoes are delicious on their own, however, with a few upgrades you can really make a dish that pops! - Prepare the Betty Crocker™ Potatoes on the stove-top according to the directions on the box. - Once the potatoes are cooked, add them to a large mixing bowl. Add some chopped green pepper, red pepper, bacon, and the flour to the potatoes (you can get creative here! if you want a lot of peppers and bacon, add more! If you don't, leave them outttt... it will be good either way). Mix together. I used my KitchenAid to really get the potatoes mashed up and blended with peppers and bacon. 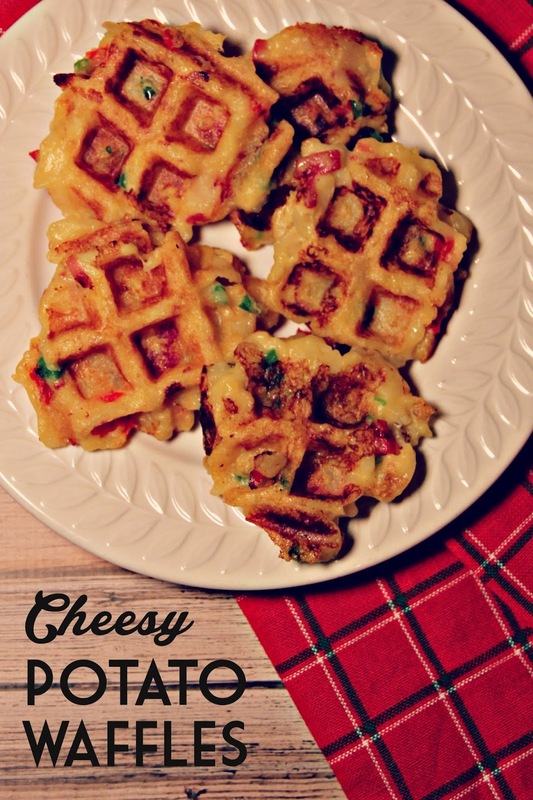 - Ladle a spoon full of the batter onto each section of a hot waffle iron. Close lid and bake for about 5-6 minutes. 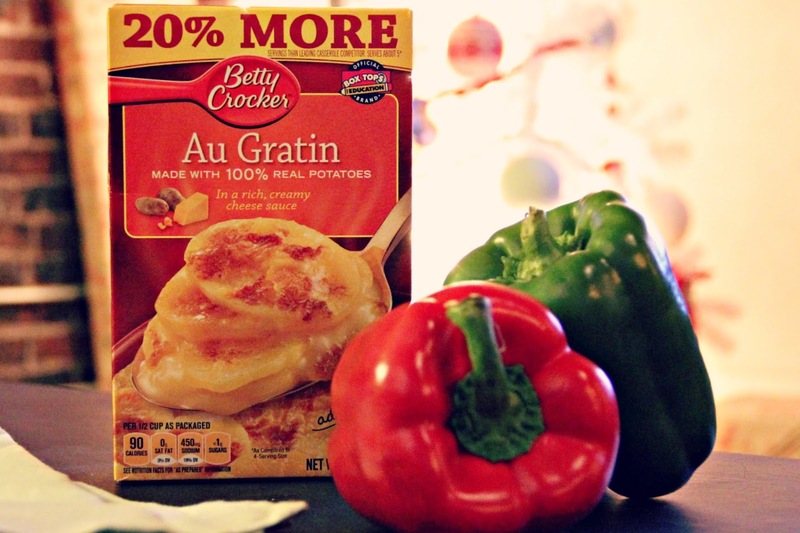 If this isn't convincing enough, here's a $.50 coupon download to help you #GetYourBettyOn and give Betty Crocker™ Casserole Potatoes a try. Also, enter the giveaway below for $15!!! Disclosure: The information, products and Betty Crocker™Potato gift cards were provided by Betty Crocker™through Linqia. What a creative twist on potatoes! I really really really want to lick my screen right now. These look soo good! I would definitely make these. Uh, YUM! I would make these waffles - they look delicious! OMG I got so excited when this popped up in my blogger reader. I wish I had the ingredients on hand but totally going to make this weekend! I'd love to make the Winter Vegetable-Beef Stew. I would make Hash Brown Potato Bake with their hashbrowns. What a great twist on a simple fav. Plus anything in waffle form is awesome.